Below you can view all the homes for sale in the Southshore At Aurora subdivision located in Aurora Colorado. Listings in Southshore At Aurora are updated daily from data we receive from the Denver multiple listing service. To learn more about any of these homes or to receive custom notifications when a new property is listed for sale in Southshore At Aurora, give us a call at 720-580-6694. Additional features include a 4-Filter reverse osmosis system with an additional tap, a whole-house humidifier & main-floor study. MLS#3588172. Colorado Home Realty. There is an additional private patio area adjacent to the dining room offering A comfortably intimate seating area. MLS#5280577. RE/MAX ALLIANCE. This home is also close to incredible shopping, dining & a massive new King Soopers! MLS#7722955. THE MERIDIAN GROUP LLC. 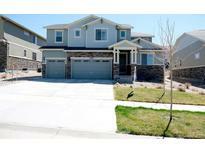 Located close to Aurora Reservoir and Southlands Mall, a quick drive to DIA or the Tech Center. Award-winning Cherry Creek School District. MLS#9177522. ViaTerra Two. Minutes from Southland Mall shopping, dining and more. Cherry Creek Schools! MLS#8435991. Keller Williams Realty LLC. *Open concept with large home office and hardwood floors on the main level * Upgraded kitchen cabinets, stainless appliances, gas range, an island and huge pantry * Gas fireplace in the great room * Four separate fabulous outdoor spaces plus a beautiful backyard with new sprinklers * Main floor laundry/mudroom * Master suite with tray ceiling, huge walk-in closet, five-piece bath and a barn door * Entertaining-ready walk-out basement with wet bar and wine fridge * Low-maintenance stucco exterior * Energy-efficient furnace* MLS#7169969. HomeSmart Cherry Creek. Comm. Pool, Fitness Center, Boathouse & Trails! ! MLS#6759707. Colorado Premier Properties. Located in the Cherry Creek School District. MLS#3989315. MB TEAM LASSEN. Sellers added a second sump pump and the roof was replaced 2015. MLS#2068926. PERRY & CO.
Don't miss the opportunity to enjoy every amazing feature in this stunning home! MLS#6256396. Keller Williams DTC. Actual colors of home may vary from the model pictures displayed. MLS#5336691. First Summit Realty. Great mother in law suite or Boomarang suite. MLS#7015008. Brokers Guild-Cherry Creek Ltd.. Enjoy all the amenities this community and home have to offer. A must see! MLS#8139933. Windermere Metro Denver Real Estate. Great Yard With Flower Beds Backing To Greenbelt And Walking Trail. Tons Of Community Amenities! MLS#9257590. MSC REAL ESTATE ADVISORS. Located in the award-winning Southshore community with miles of trails, parks, fabulous schools, fitness center, clubhouse, & Aurora Reservoir is within minutes of this home. MLS#8719464. Redfin Corporation. Southshore community is part of the Cherry Creek School District, one of the best districts in CO. MLS#2940202. MB TEAM LASSEN. Southshore community is part of the Cherry Creek School District, one of the best districts in CO. MLS#1943753. MB TEAM LASSEN. Located in Cherry Creek School District. Move in Now! MLS#6981629. MB TEAM LASSEN. Located in the Cherry Creek School District. MLS#5253271. MB TEAM LASSEN. Better than new * Modern style home * Newer carpet & paint * Open floor plan * Tall windows & tons of light * 42” walnut cabinets w/crown molding * Oversized granite top island * Large great room w/ custom fireplace * Quiet study w/ French doors * Spacious powder room * Separate laundry * Private secluded master suite w/ luxurious 5 piece bath * Second bath w/ dual sinks quartz counters * Basement w/ rough in for bath * 3-car oversized tandem garage w/ built in storage * South facing driveway * Fenced yard professionally landscaped w/ sprinklers * Renowned Cherry Creek schools * High efficiency furnace & water heater * Central Humidifier * Stainless Steel Appliances * Resort style living w/ huge salt water pool & extra warm kids pool * Amazing club house w/ state of the art fitness center * Lake house for boat rentals * Minutes to Saddle Rock golf course * Easy access to E-470 & DIA * 40 min to Downtown Venues * Southlands Mall & restaurants nearby MLS#9647451. HomeSmart Realty Group of Colorado. This home is Located in Cherry Creek School District! MLS#8900881. MB TEAM LASSEN. Located in Cherry Creek School District!. Available April MLS#5499086. MB TEAM LASSEN. Walk to all area schools and NEW Altitude Elementary. MLS#9691646. Keller Williams Executives. Cherry Creek School District and everything Southshore has to offer including a salt water pool, fitness center, access to reservoir and much more! MLS#4892926. Your Castle Realty LLC. Did I mention Cherry Creek Schools!! ! MLS#8846525. Keller Williams Real Estate LLC.